A brief morality tale featuring two spiteful lawyers, a few brothels, and some impressive facial hair. As the newly elected Hamilton County Prosecutor in 1871, William Ampt roared into office by firing off a dozen indictments for keeping brothels and a half-dozen more for keeping gambling houses. Prosecutor Ampt showed up in the courtroom of Judge Joseph Cox, ready for a big win and bigger headlines as he endeavored to clean up the city. Ampt had indicted the top brothel owners in Cincinnati. The list of defendants included such legendary procurers as Mollie Chambers, Mollie Dean, Frank Hall, Lizzie Homan, Maria Jones, John Jung (among the very few male brothel owners), Sallie Marshall, Viola Page, Annie St. Clair, Elizabeth Stuart, and a woman known only as Madam Miller. The gamblers under arrest were Robert Barker, Frank Corry, James Davis, Thomas Lytle, John McKinney and Richard Southgate. Awaiting Ampt at the courthouse was Major Charles H. Blackburn, defense attorney. 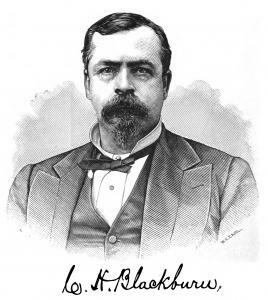 Blackburn, on the premise that the charges were identical, had asked the court to consolidate all of the prostitution cases into a single case, and to combine all of the gambling cases likewise. In other words, did the defendants operate brothels or did they operate houses of ill fame? Since they are different things, Blackburn said, each requires different evidence. Blackburn then noted that none of the indictments named specific addresses, none provided any sort of proof that prostitution had taken place, and none of the indictments were signed by prosecuting witnesses. Such shoddy work, Blackburn claimed, invalidated the entirety of the prosecution and asked that all indictments be quashed. Who was this predecessor? What former prosecutor had achieved such success with his indictments that Ampt had merely copied them? Who had established this shameful tradition of slapdash legal poppycock? Why, it was none other than Major Charles H. Blackburn, who had become a defense attorney after losing the prosecutor’s office to William Ampt in the last election. Judge Cox agreed with Prosecutor Ampt and allowed the indictments to stand. The parties pled out or were found guilty. Brothels and “houses of ill fame” assumed synonymy in Cincinnati’s legal system. It is interesting to follow the subsequent careers of Mr. Ampt and Mr. Blackburn. 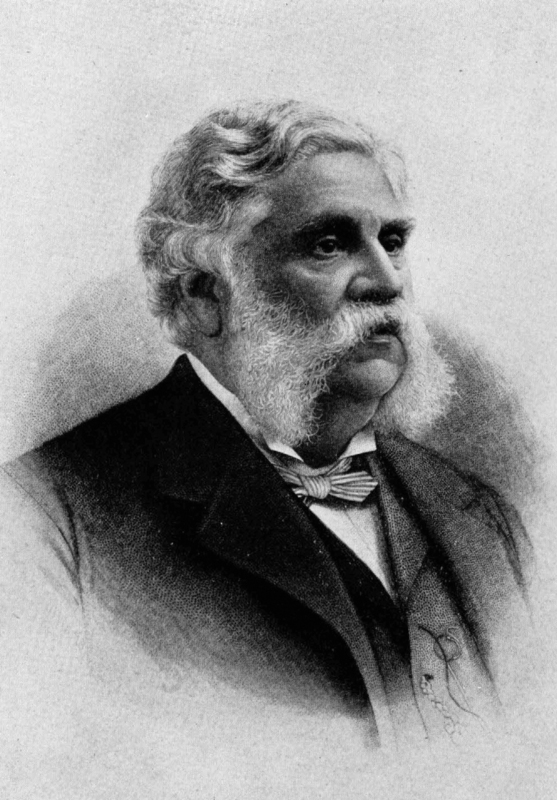 Although he remained deeply involved in politics as a supporter of Ulysses S. Grant, William Ampt never again stood for election himself after his two-year term as prosecutor. When he died in 1909, he was celebrated as “Citizen” Ampt for the many lawsuits he had filed over the years, as a private citizen, to derail public expenditures that he believed were unnecessary, wasteful, or criminally motivated.